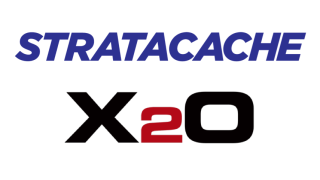 Stratacache has acquired Montréal-based X2O Media from Barco with the aim of offering enhanced focus and new growth opportunities for the software platform. After its acquisition in 2014, X2O became part of Barco's Enterprise division, which focuses on solutions for meeting and control rooms. Over the years, X2O secured top-tier customers including John Deere, Verizon, Fox News, and Accenture. All customer agreements will continue to be managed by X2O to ensure the best support and service for current customers. X2O Media employs about 45 people and will continue to operate from Montréal, Canada. The sale will be closed at the end of March 2018. "With the acquisition of X2O Media, we will expand our portfolio with a complete solution for dynamic content display based on real-time data, plus add great new tools in the E-learning and broadcast markets," said Chris Riegel, CEO of the Stratacache family of digital media/marketing technology companies. "The X2O software platform versatility and its capability to address any display—be it fixed or mobile—will prove to be an important asset. This complementary technology will help us to further build on our core competences in the ever-expanding digital display and data visualization marketplace." Dirk Huelsermann, managing partner of Stratacache Capital, who lead the acquisition said, "The X2O acquisition is a perfect example of the aggressive long-term growth strategy of the Stratacache Group. Working actively on over 400 deals per year, we are at the forefront of a long-awaited industry consolidation. Our investment strategy is to help unlock the potential in emerging digital media companies to grow faster." "The decision to divest X2O Media comes after a careful evaluation of its profitability and growth opportunities," said Jan De Witte, Barco's CEO. “As digital signage is no longer a strategic focus for Barco, we are convinced that selling X2O to a major player like Stratacache will provide the company with the focus and contacts it needs to reach the next level of global scale and success."